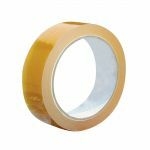 We have a wide range of adhesive tapes ideal for all your general packing and packaging applications, along with printed warning tapes and seven differently coloured vinyl tapes. 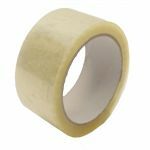 General purpose polypropylene packaging tapes are the perfect option if you’re on a budget yet want to maintain high adhesive tape standards. 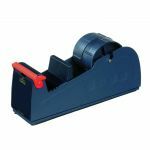 They are cheaper than vinyl but still reliable, tough and long-lasting. 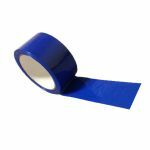 With a high impact resistance, they are perfect for most packing needs. 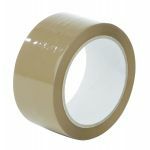 They are available as brown or clear packaging tapes. 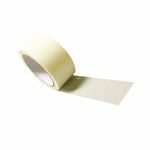 Our low noise adhesive tape, with the benefit of quiet dispensing, is ideal for busy packing departments or areas where noise levels need to be kept to a minimum. 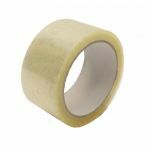 Brown or clear, its acrylic adhesive provides excellent adhesion at low cost. 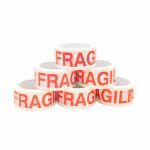 Our premium top quality vinyl packing tape is suitable for all your domestic, office and parcel sealing packaging requirements. 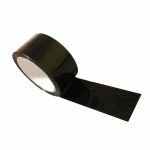 Resistant to moisture, oil, chemicals, humidity and temperature changes, this parcel tape is very strong and tear-resistant with excellent adhesive qualities so is especially suitable for products with a long shelf life. 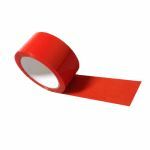 The brown version is also available as a wide tape. 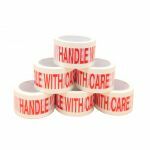 For posting or shipping delicate goods, our printed tapes do two jobs in one: both sealing and warning. 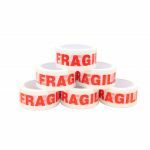 “Fragile” adhesive tape is available in both economy polypropylene and premium vinyl while “Handle with care” and “Glass handle with care” is in vinyl only. 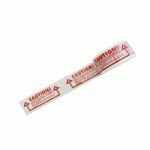 “Caution” is a useful all-purpose warning tape that can also be used as a security sticker. 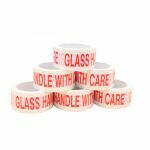 We can custom print your warning tapes if required – click here to ask for a quote or just give us a ring. 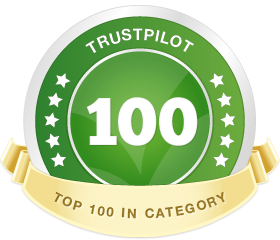 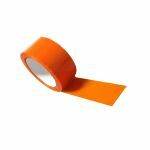 Our top quality vinyl adhesive tapes are available in seven bright and non-fade colours: red, blue, green, orange, yellow, black and white. 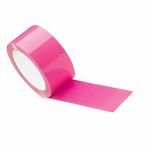 Our coloured polypropylene tapes are also available in 8 colours, including pink. 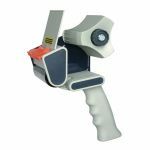 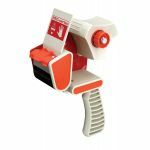 They are ideal for colour-coding cartons and boxes – or perhaps for using as a brand identity when dispatching your goods. 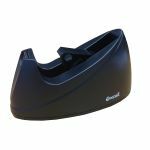 Don’t forget to keep on hand clear polypropylene office tape, the general purpose 25mm value packing tape that can be used for a host of jobs, and choose from our handheld and desktop packing tape dispensers, available in various widths, to speed up the sealing of your cartons with packaging adhesive tape.